If there’s one thing I love about Kara Cox, it’s her savvy way with color! 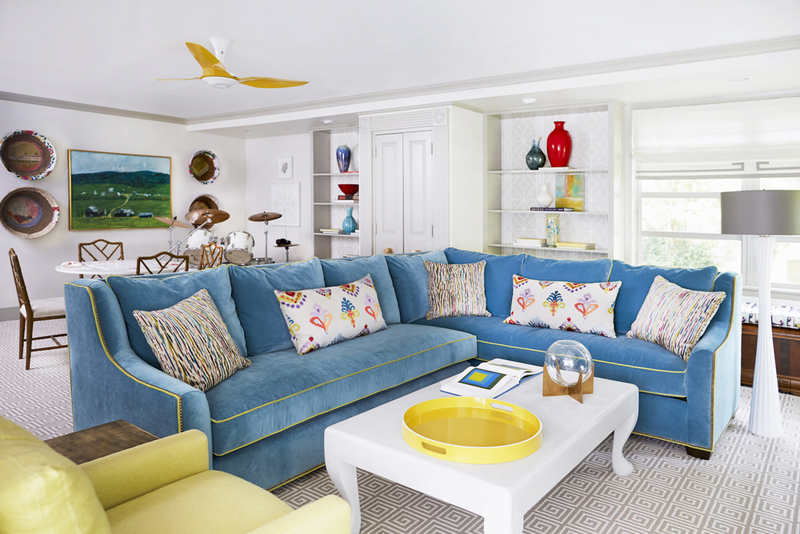 The talented interior designer out of Greensboro, North Carolina used her signature fresh approach when renovating her family’s 1954 mid-century split-level home, captured beautifully here by Stacey Van Berkel. The vibe is clean and simple, yet pattern and color, fabulous artwork and a mix of materials bring a ton of personality to the home! I’m telling you, it was love and sight with the vibrant sectional in her family room. And the use of turquoise in the kids’ bathroom"! Total perfection! As is that gorgeous powder bath…that sink?holy moly! You guys have to catch up on Kara’s portfolio…head over here next for tons more eye candy! And for another beautiful project I featured, go here! Have a great weekend!